On the 5th April members of the Fenland Trust accompanied Patrick Barkham of the Guardian walking sections of the Fen Edge Trail. 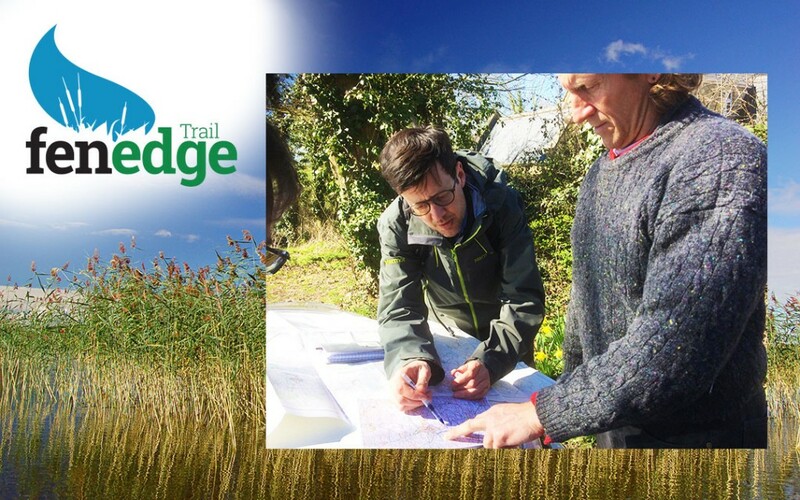 The Fen Edge Trail is a walking route around the Cambridgeshire Fens, roughly following the land that lies 5 metres above sea level (the 5 metre contour), where the low-lying fenland meets the surrounding higher land. With short detours to visit nearby viewpoints, historical and cultural sites and areas good for wildlife, the Trail enables visitors to enjoy this fascinating area that has been of strategic importance for the local inhabitants since their first arrival. 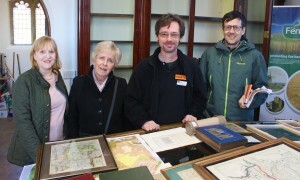 Patrick visited the Fen View Heritage Centre at Farcet, a micro museum in an old chapel that is being developed by the Fenland Trust and stopped for lunch at the Admiral Wells, the lowest pub in the British Isles. Joining Patrick were Henry Stanier from the Great Fen/Wildlife Trust, Chris Donnelly from the Cambridgeshire Geological Society Geosites team and Pat Doody, Coastal Ecologist, also from the Geosites team. Look out for the feature in the Guardian travel guide, which will be published April 21st.